he Raw material for wire mesh fence is Q195, Q235 and stainless wire or tube. The surface of treatment is: Hot dipped galvanized, PVC coated, PE coated, Electro galvanized. The fastening connection makes the fence installation very easy. It widely use for stadium, park, school, factory, residential district, military base, highway, railroad and so on. The fence enjoys perfect and succinct appearance, high security, strong perspective feeling, etc, and avoids the clumsiness of traditional fence. 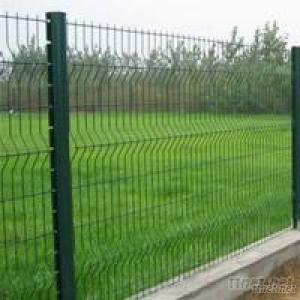 The wire fence has rich color and easy to install, the reasonable latitude and longitude design play the role of against climbing.